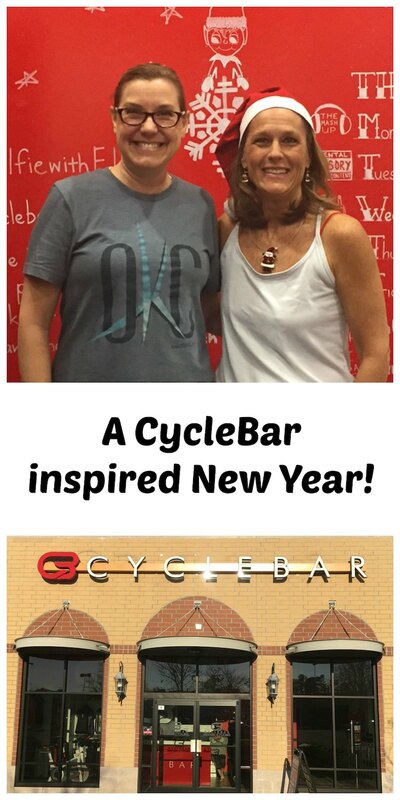 Home » Fit Fridays » CycleBar inspired new year! Every December, I review the past year — where it went, where it should have gone, and what needs to change. 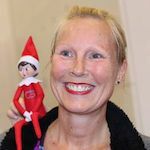 I do the same thing for my blog, each year building on skills to improve it and stay relevant. The past few years, I’ve focused on improved photography, more engaged social media, and better writing generally. This year, the focus is a little different. Maybe it’s because I turned 50 last year. Maybe it’s because in five years of travel blogging, I have changed. Probably it’s a bit of both. So, in 2017, you’ll get a bit more Karen — my perspective, my interests, my challenges. Not to be all about me, that’s not my style. I hope it will inspire you. To try something new. To go someplace different. To say yes instead of no. Like the way I ended 2016… The local CycleBar asked me to come check out their cycle classes (spinning but a bit more fun) and share the experience with you. I got the email request and let it sit a few days… and then, for some crazy reason, I said yes. CycleBar is 40 minutes from my house, so the distance alone should have made me say no. And the invitation came at the holidays, as if I don’t have 1,000 other things to do. AND, the email first arrived when I was in the midst of a 10 day migraine. 10 days! You know what? I loved it! And it changed me. Maybe it just sped up the process of who I am becoming. Anyway, this year, I’ll be seeking more adventure (not adrenaline junkie stuff, but outdoorsy, healthy stuff) and pushing myself to be less of a chicken. And if this 50 year old mama can do it, then you can too! How about starting with CycleBar? CycleBar at Brier Creek opened in April and offers classes from early morning through the evening. Some classes are themed, like the holiday class I took which played Christmas music. They offer introductory 30 minute classes as well, so you can get a taste of cycling before you jump in. One of my greatest struggles these past few years has been figuring out how to be strong enough for the things I want to experience. To be honest, until I turned 40, I was afraid to try new things. I wouldn’t ride roller coasters, hike rough trails, jump off a cliff into the water or zip line. All those things intimidated me. Then, my boys became teens and, being competitive generally, I had to push the fear down and try living. I hated sitting on the sidelines. My adventurous soul set free, I found that not only do I enjoy these crazy adventures, I crave them! This is new, so I’d appreciate your feedback! What’s hard about being healthy when you’re traveling? Or what keeps you from stepping out of your comfort zone? Leave a comment, and I’ll address your questions in this section as I can! I love it!! One trick i have used while travelling is going on groupon or living social and finding exercise deals…1 week of whatever for really cheap! Of course it works great for food and other advetures you would never think of!! Thanks, Crystal! Such an encouragement! I will keep that in mind, too. Never would have thought of Groupon for exercise deals (hmmm… maybe because of that whole “new to exercise” thing).